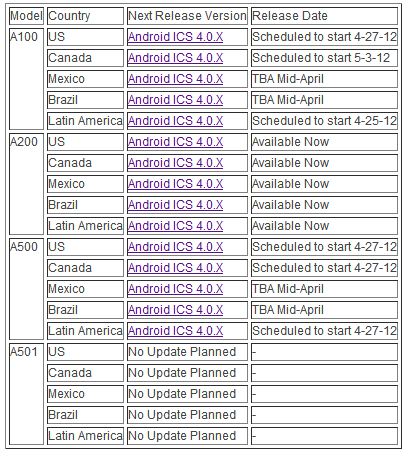 You're probably getting used to OEMs being conveniently vague about dates of Ice Cream Sandwich rollouts. 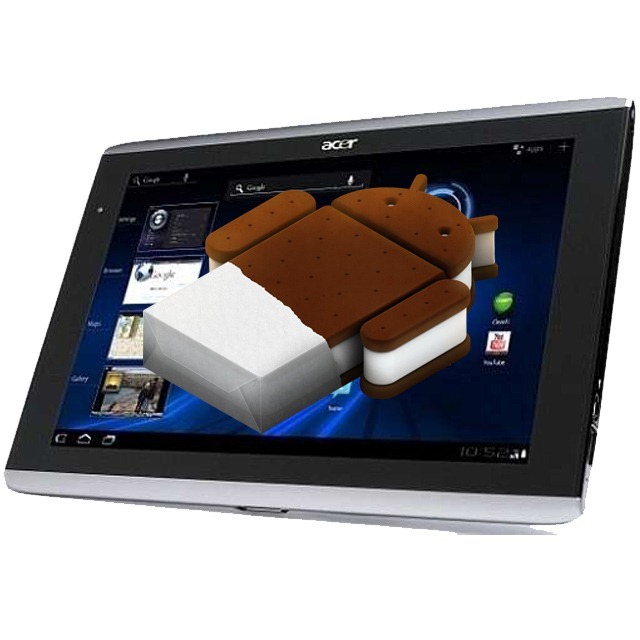 Well, Acer has seen fit to set the record straight and clue everyone into the update schedule for the Iconia Tab A100 and A500 Android tablets. Both devices will begin getting the update on April 27, which is a mere 10 days from now. The A200 got its update way back in February. 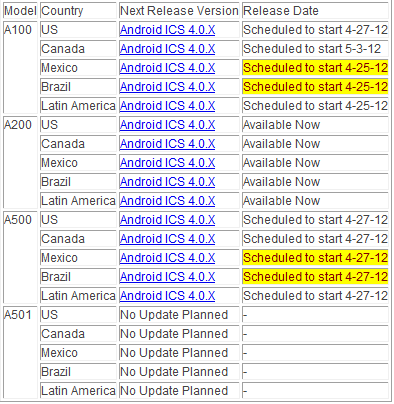 The aforementioned April date is only for the US variant of the devices, though.